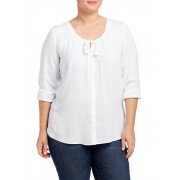 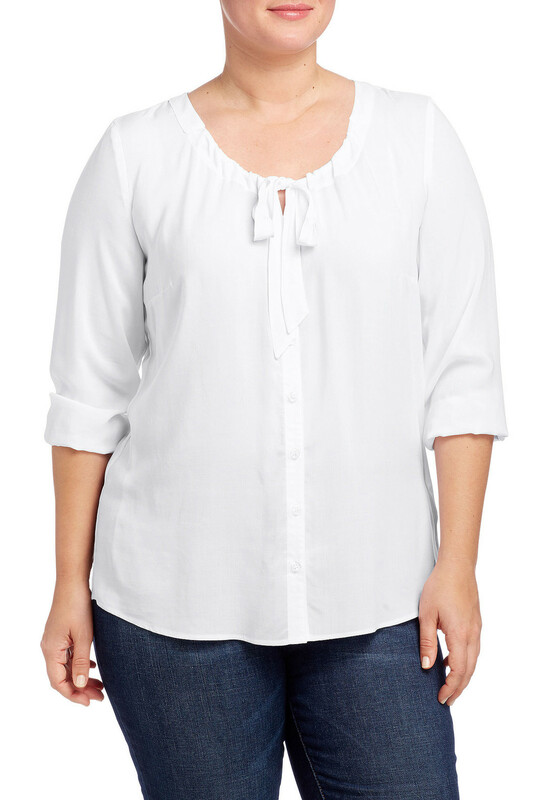 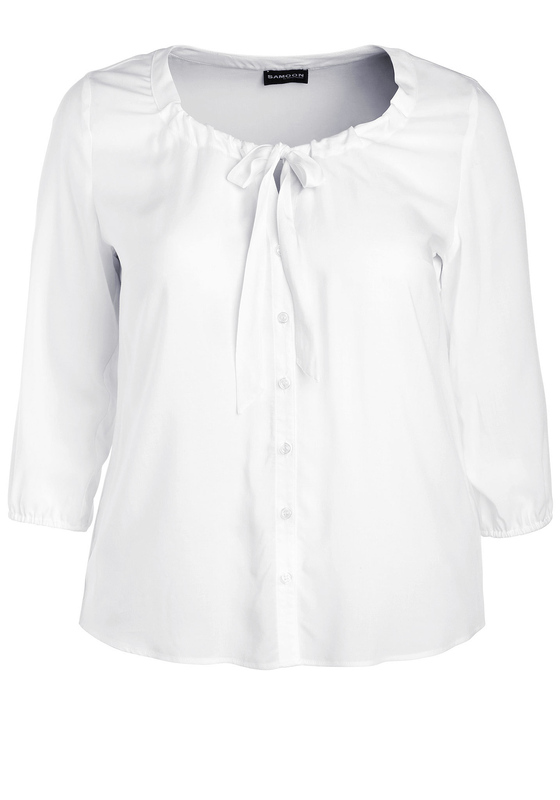 This pretty blouse from Samoon has a tie detail at the neckline which adds a feminine touch. Wear with black trousers for work or with jeans and a printed jacket for a stylish weekend look. 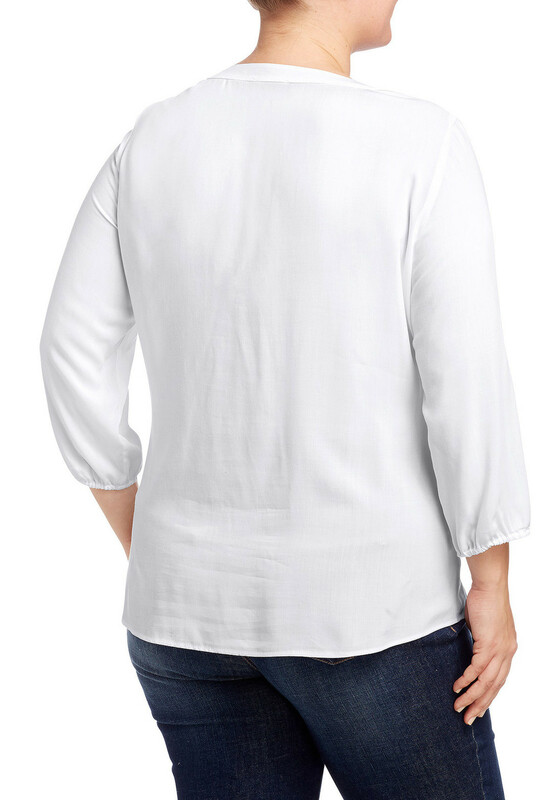 Made from lightweight fabric with a full button placket and three quarter length sleeves.